The hopes of Australia’s online poker players for a legal carveout to the country’s gambling laws in order to resume playing online continue receiving a measure of political support. In recent days, Aussie Senators David Leyonhjelm and Cory Bernardi appeared before the Senate’s Environment and Communications References Committee to argue online poker’s cause. The ECRC is the home to the official Australia Senate inquiry into the online-poker matter that was introduced weeks ago by the two crossbench senators. 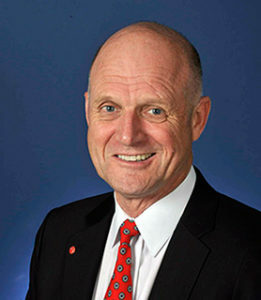 Leyonhjelm has been the Australian online poker community’s strongest political ally since changes to the country’s Interactive Gambling Amendment (IGA) created a de facto ban on online poker in Oz, due to the lack of any legal channel through which the activity could be licensed and regulated. Leyonhjelm continued pounding the online-poker carveout beat when speaking before the committee on Wednesday. He pointed out that links between online-poker play and problem gambling behavior are largely coincidental; as several studies have shown, online poker shows one of the lowest rates of addictive behavior among tracked gambling activities. Part of the problem in Australia has been a casual association between “online poker” and “pokies”, the regional name for video gaming terminals (video slot machines) that have been the target of anti-gambling backlash in several countries, including Australia. According to Leyonhjelm, online poker is instead a taxable, low-risk form of gambling. “Rather than reflexively banning activities … they can be legalised, regulated, monitored and of course taxed,” said Leyonhjelm. Leyonhjelm and Bernardi, as crossbench (small party) senators, have little power to drive primary legislation, though they can trade political votes for affirmative action on other matterss. The pair have attracted a growing number of their fellow senators to the idea of passing an online-poker carveout. However, Australia’s Productivity Commission, charged with enacting those same modifications to the IGA that created the de facto online-poker ban, have stressed that an online-poker carveout should be brought into play only after all elements of the approved changes have been put into place. The online poker inquiry was instigated by me, because the government had passed amendments to the Interactive Gambling Act without, I suspect, realising what it was doing in relation to online poker. While I disagree with its prohibition approach to online gambling in general, the ban on online poker is particularly egregious. 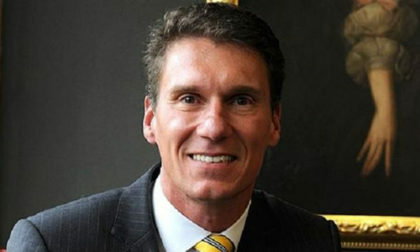 The inquiry hearing was attended by me, plus Senators Bernardi, Dunian and Whish-Wilson. I thank each of them for their interest in the subject, and for their objectivity. As we said in the Additional Comments to the report, submitted by Senators Bernardi me, I support the legalisation and regulation of online poker in Australia. Online poker does not pose the risks of harm of other forms of gambling. There are a number of aspects to poker (including its online form) that make it inherently different to other forms of gambling. Poker is a peer-to-peer game — not one played against the casino or ‘the house’. Thus there are no ‘stacked odds’ by the casino/house requiring constant regulator scrutiny. It is a zero-sum game for the players, less any transparent, up-front fees that licenced hosts would have to competitively charge to cover platform provision costs. It involves players pre-committing to the dollar amount they want to outlay or risk, helping to contain harm from excessive or addictive behaviour. It is relatively social and involves camaraderie and distinct groups (more often than not comprising males with full-time employment and above-average education and incomes). Over the medium term, poker is far more a game of skill and strategy than luck and chance. The Productivity Commission agrees. In its 2010 gambling report, the PC saw online poker as a valid first step to legalisation and regulation of online gambling in Australia — bringing it onshore so that players can be properly protected from unscrupulous platform providers and lax regulatory standards. As the PC report goes on to demonstrate, with regards to the potential for deep or widespread harm, and the degree of regulatory difficulty if legalised, online poker is one of the most benign forms of gambling, posing few concerns relative to other more publicised forms (e.g. electronic gaming machines in pubs, clubs and casinos). The inquiry heard no evidence suggesting anything other than coincidence between poker and problem gambling. While some problem gamblers are known to play poker, problem gamblers also gamble in other ways well known to lead some people into problem gambling. The general principle here is that, rather than reflexively banning activities that include some risks and potential for harm, they can be legalised, regulated, monitored and of course taxed. And the fact is, as many submissions to the inquiry pointed out, banning the provision of online poker services within Australia will not prevent Australians from playing poker online. They will simply play on sites overseas where they are exposed to greater risk. The government needs to simply get on with implementing the recommendations in the PC’s 2010 report, by legalising and regulating online poker. Online poker is unique, participation and enjoyment is widespread, the risks of harm are low and it is better to have it regulated (and taxed) onshore than driven underground or offshore. Other western countries allow it — e.g. the UK, Italy, France, Denmark, Norway and Sweden, or various states within, e.g. in the US — it is time Australia’s ban and aversion to online poker also ends. And finally, when it comes to legalising it, the government should closely follow the model of the UK Gambling Commission. Its approach, which involves issuing licences specific to each kind of gambling, enables it to address risks to gamblers, sport and consolidated revenue from gambling in a logical and effective manner. It is relevant that the companies seeking to offer legal online gambling services to Australians also favour this approach.